Star Wars seems to be a perennial favourite and it has certainly collected a new generation of fans that are just as familiar with the worlds of the Old Republic as they are with the battle against the Emperor and Darth Vader, thanks to the continuing video games series. Two of the Windows Phone 7 release titles for Xbox LIVE are Battle for Hoth and Cantina, two quite different games that will both contribute to your Gamerscore. The first Star Wars game is Cantina, a release that owes more to managment sims than to the usual Star Wars fare of action and adventure. 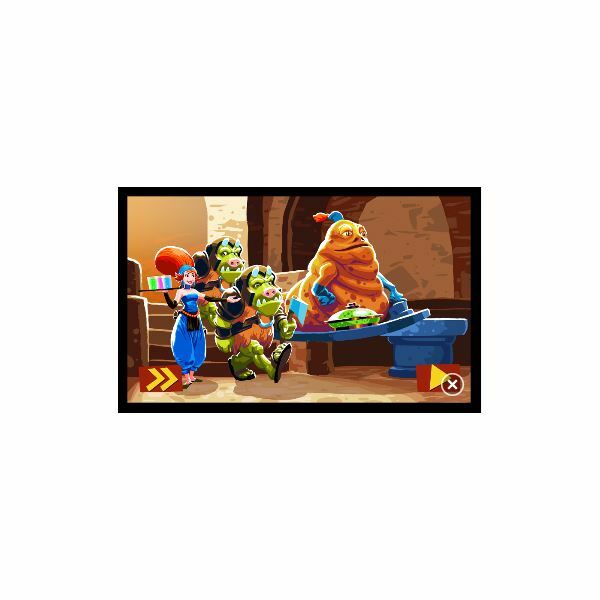 Playing Cantina involves serving drinks to Star Wars characters in a cantina (think of the Mos Eisley cantina seen in the first Star Wars film) and mixes this concept with some fun, if slightly cartoony, graphics. Featuring Imperial stormtroopers, Gamorreans and even a Hutt, this fun game increases with difficulty over time so you can be sure that the challenge remains throughout. Star Wars: Cantina is available from the Windows Phone 7 Marketplace for £2.49. Using the second Star Wars film The Empire Strikes Back as its starting point, Star Wars: Battle for Hoth takes place during the Imperial assault upon the Rebel base on the ice planet Hoth. 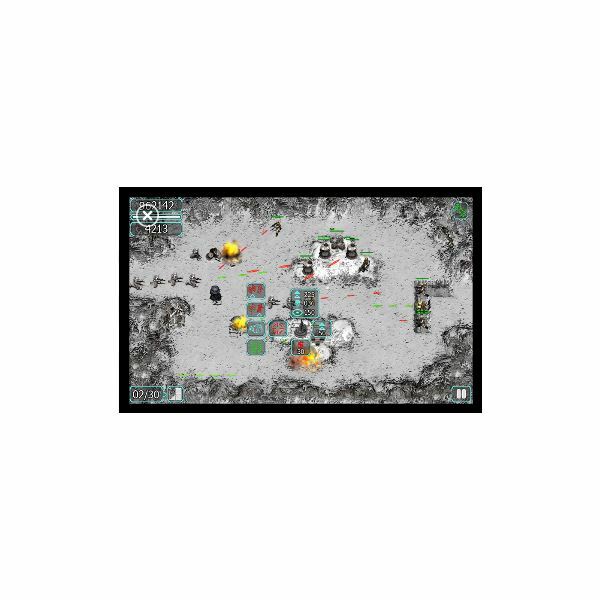 Your aim is to prevent Imperial stormtroopers and their droids from infiltrating the Rebel base, which you can do with a selection of guns and defensive soldiers. 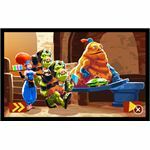 Each level sees a new weapon added to your arsenal in this "tower-defence" Windows Phone 7 Star Wars game, and these can be placed anywhere on screen. The graphics on this game are less cartoony and Star Wars: Battle for Hoth features cut-scenes from The Empire Strikes Back to establish the right atmosphere. A free trial version is available, and you can purchase Star Wars: Battle for Hoth for £2.49. Meanwhile if all of that heavy gaming is a bit too much for you and you're someone that prefers a more "real world" Star Wars experience, there are several Light Saber apps for Windows Phone 7 that might suit you. 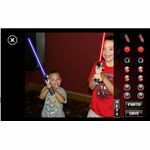 Three standard Light Saber apps, SaberPhone, Light Sword and LightSaber are all available for 79p in the UK, each with the expected choice of colours and size. 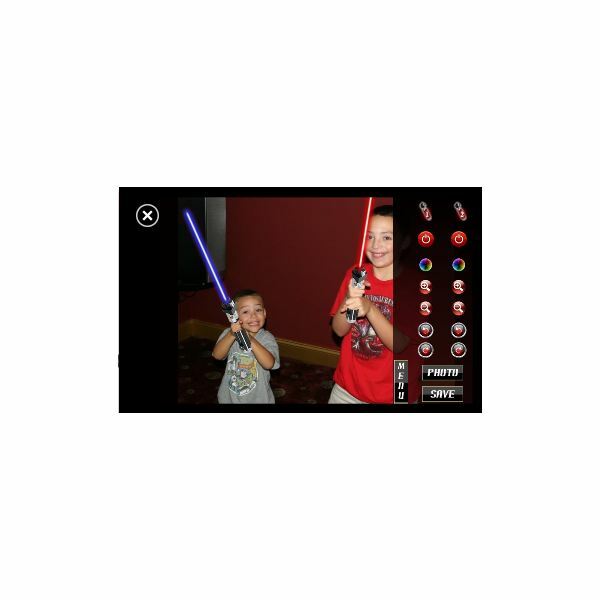 In addition to these, however, is Light Saber Photo (pictured), a popular app that allows you to add Light Sabers to photos taken with your camera-mounted Windows Phone. All you need to do with this 79p app is pose and then add a Light Saber of your preferred colour and size it appropriately!